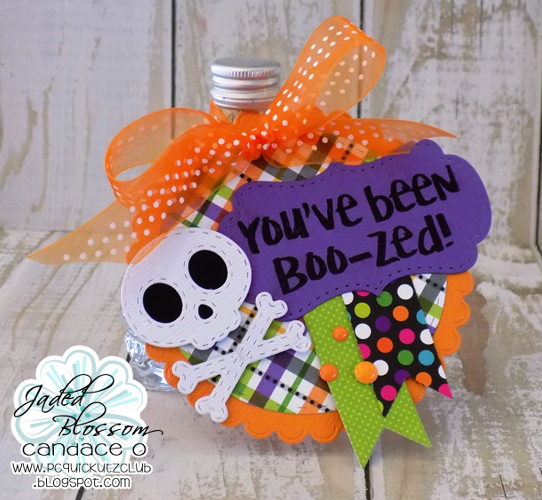 Jaded Blossom: You've been Boo-zed! Hey everyone! It's Candace from Candi O. Designs and it's my day over at Jaded Blossom! 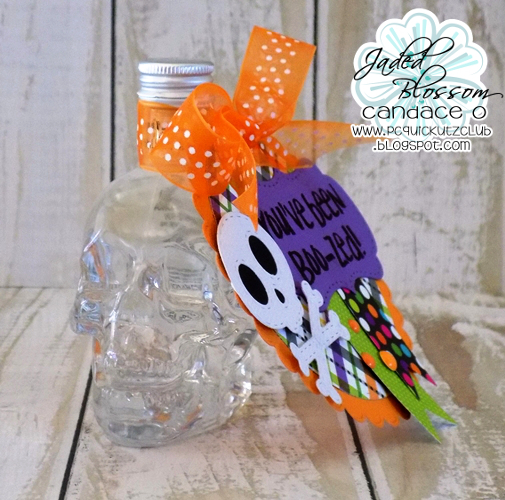 I found this adorable little skull bottle of alcohol and made a cute tag using lots of Jaded Blossom Products!!! Great little treat for the big kid at Halloween! with us in our Garden of Creativity. I hope you liked my project and thanks for visiting! I love this and love how you made the circle a tag!! So cute!! 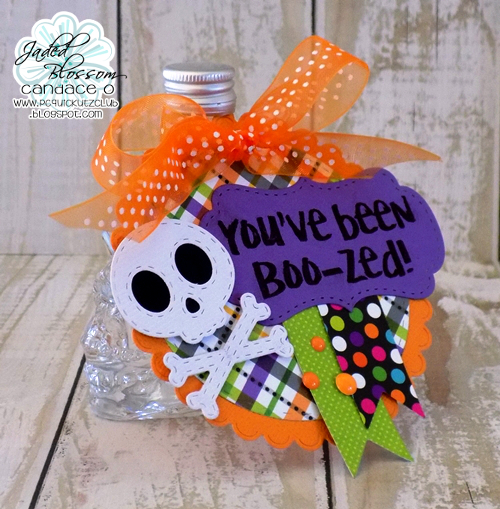 I love that bottle, and the fun colors you used.